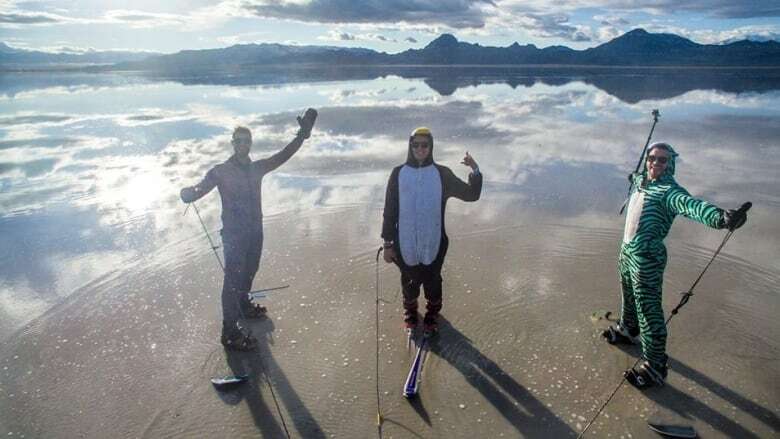 What started out as an awesome American road trip has turned into an odyssey of internet shame for three Canadians accused of disrespecting U.S. natural treasures from Yellowstone to the Bonneville Salt Flats. It's hands-down the most interesting part of the High On Life crew's Great American Road Trip. 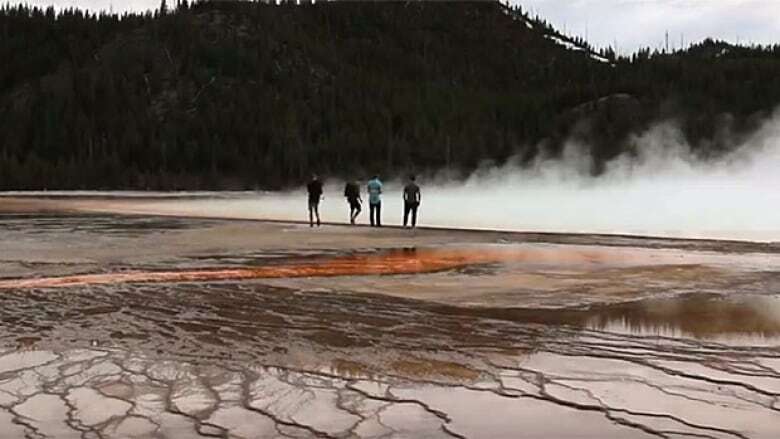 But since the four young Canadians issued an apology last week for inadvertently disrespecting Yellowstone National Park, their normally active Facebook page has gone strangely silent. The rest of the internet — on the other hand — has turned their excellent adventure into an odyssey of shame. Arrest warrants have now been issued on misdemeanour charges of violating park rules after three of the men — Justis Cooper Price-Brown, Charles Ryker Gamble and Alexey Andriyovych Lyakh — allegedly walked off the boardwalk in Yellowstone's Old Faithful District to get next to the Grand Prismatic Spring. A change.org petition has targeted their sponsors, and a Facebook campaign has sprung up to comb their past postings for evidence of other wrongdoing. Thousands of commenters have piled on. As a result, they're now being investigated for allegedly water-skiing behind their bus on the beloved Bonneville Salt Flats. They've also been accused of going out of bounds at Machu Picchu. "I can't remember in the many, many, many years I've been doing this any case that has brought this much attention," says John Powell, a spokesman for the U.S. States Attorney's office in the district of Wyoming. "I think social media plays a big part. Those pictures were out on social media internationally within minutes. And people saw that and they were a little upset by it and the cavalier attitude, and I think they were mad." How to 'best answer to our actions'? Ryker Gamble responded to a request for comment from the CBC via Facebook with a brief statement, reiterating the earlier apology, which included an offer to donate $5,000 to Yellowstone. "Our priority this week is to continue to work with both Yellowstone National Park and the authorities to get more information and figure out how we can best answer to our actions," Gamble said. Those pictures have been taken off the website for their company, which sells clothes, organizes parties and entertainment and makes YouTube videos. 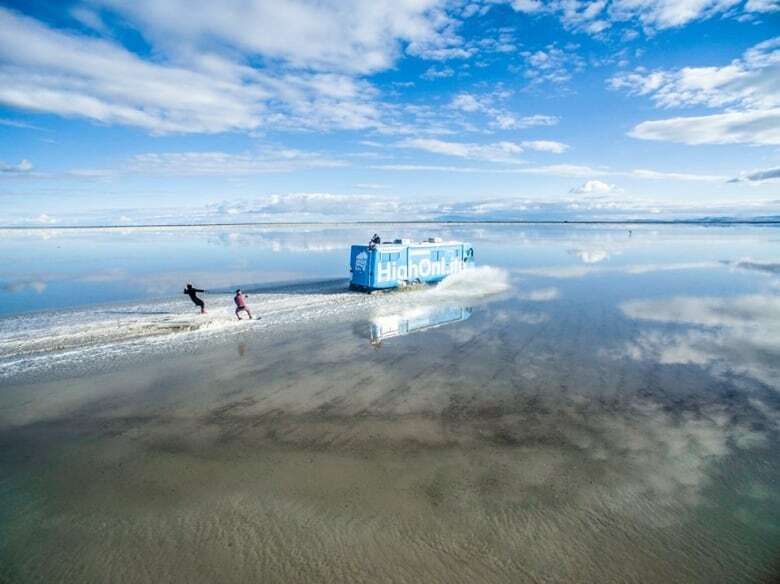 But videos of the crew driving a bus and water-skiing on the Bonneville Salt Flats remain, along with comments like: "Obviously you ignored the signs that state the salt is a protected area. Honestly can't believe you are Canadians." Although the salt flats have been the site of land speed car racing records, driving on the salt flats is forbidden when it's wet. Sanctioned racing has been cancelled on the flats for the past two years because of concerns about the salt. The U.S. Federal Bureau of Land Management is investigating to see if any laws were broken. 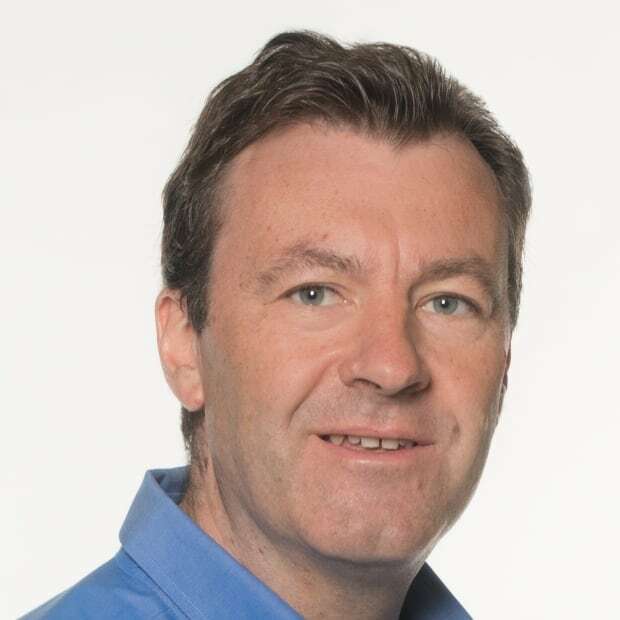 "We were contacted last week with regards to this incident. Because it's an area of critical concern and an international treasure, it's important that we protect it," said Lisa Reid, a spokeswoman for the bureau's western desert district. "We were surprised. We didn't realize that people were doing that, or even promoting this type of recreating on the Bonneville Salt Flats. That's not something we want promoted. We want to protect it." Fishing guide Justin Graff, who lives in West Yellowstone, Montana, says most people in the town make their living from the park next door and take great offence at any disrespect to it. Particularly from Canadians, who should know better, Graff said. "It's basically the desecration of a national monument." he said. "It's not as heavily guarded as the Liberty Bell in Philadelphia or the Statue of Liberty, but it's just as highly regarded." A fourth man, said to be from New Zealand, has also been charged with violating Yellowstone rules. The charges aren't extraditable, but they are nationwide and could result in arrest on re-entry into the United States. But Powell said the charges can be dealt with relatively easily. "It's still a misdemeanour, and we don't want to blow it out of proportion" he said. "What they did was not particularly smart, but it didn't result in anybody's death or anything like that." Back at Bonneville, Reid said authorities had been planning to upgrade their restriction signs. But she admitted the new ones are unlikely to say, "No Idiots Allowed." "I don't know that they could be big enough."